UV-VIS spectroscopy plays an important role in analytical chemistry and has widespread application in chemistry, physics and life sciences. 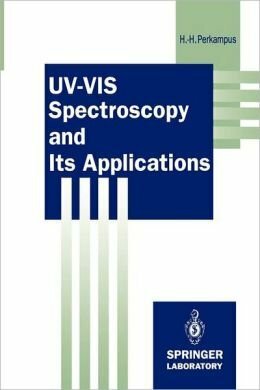 The author has created a detailed and comprehensive reference work on all important aspects of UV-VIS spectroscopy, including investigations on chemical kinetics and chemical equilibria. Photometric determinations, multicomponent and multiwavelength spectroscopy, derivative and photo acoustic spectroscopy are treated in depth; many applications are described in detail. The volume is an invaluable source of information on UV-VIS spectroscopy and its applications for specialists and non-specialists. Perkampus Heinz-Helmut Grinter H. Charlotte Threlfall T.L.